This instrument museum in Phoenix AZ is the first of its kind... in fact, around the globe and Arizona is proud to have such an attraction. The museum is a hub for a wide array of great concerts! And these are concerts performed by many well known artists as well as perhaps some artists you have not yet heard... if you like music, I highly recommend it. The museum is divided into five geographical areas and you will find that there are instruments from Europe, North America, Africa, Asia, and Latin America. Fall, spring, summer, winter and Christmas musical concerts, are also what you will find in addition to the visitors museum. Blues, country, jazz, mufti-instrumentalist artists… no matter what musical tastes you wish to hear, you can find them here at the instrument museum in Arizona! The tickets are nicely priced and they vary in price depending on the concert. If you are looking for the perfect gift for someone who has an appreciation for music, consider giving them a gift card that they can use for the instrument museum in phoenix or one of the many monthly concerts that are scheduled there. They have a long list of concerts for everyone’s musical tastes. Perfect for the Kids Too! And don’t forget the kids! If you want to introduce your child to the world of music, the music instrument museum in Phoenix helps you do just that! They offer early childhood music-and-movement courses that are perfect for all children of all ages. The Musical Instrument Museum (MIM) collection includes instruments from nearly 200 countries and territories in the world. Discover music in other countries... countries such as India, China, Russia, the United States, Congo, and others have multiple displays with subsections for different types of ethnic, folk, and tribal music. Museum guests will enjoy a close encounter with the instruments themselves, enhanced by state-of-the art audio and video that bring to life the sounds and sights of these instruments as experienced in their cultures of origin. 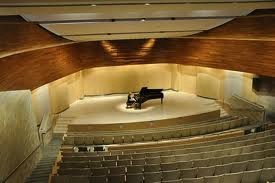 The Instrument Museum in Phoenix building also contains a 299 seat performance theater for their concerts they have lined up every month. The MIM welcomes the young and the old, the uninitiated and the knowledgeable, to explore and experience the rich diversity of the world’s music and musical instruments. The instrument museum is located in north Phoenix, on the southwest corner of East Mayo Boulevard and North Tatum Boulevard, just south of Arizona Loop 101. It is located at 4725 East Mayo Boulevard. You can reach them by phone at (480) 478-6000. MIM is surrounded by restaurants, movie theaters, and other interesting sites offering activities for families and guests who would like to combine the MIM experience with other recreational opportunities.